The global number of extremely fat children has reached 124 million, having multiplied tenfold over the past 40 years, the World Health Organization (WHO) said on Wednesday, pointing to food advertising and unaffordable healthy food. In the biggest-ever epidemiological study to date, the U.N. health agency and Imperial College London analyzed the weight of nearly 130 million children and teenagers to find out how bodies have changed since the mid-1970s. Only 10 percent of the increase resulted from population growth, while 90 percent was due to an actual growing obesity problem, according to Imperial College London researcher Majid Ezzati. In addition to the 124 million obese children, there are 123 million children who are simply overweight. 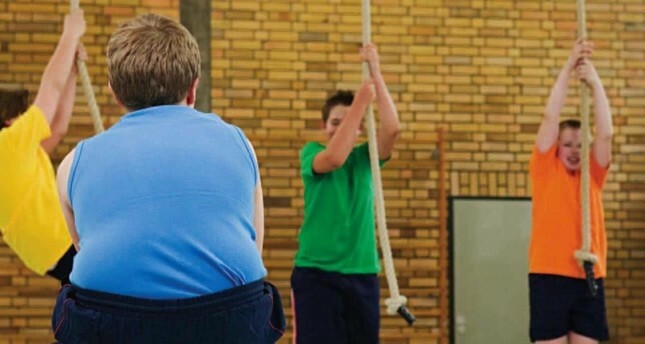 In wealthy countries, the rise in child obesity has halted in recent years, while rates still soar in developing and emerging economies such as China and India, according to the study that was published in The Lancet journal. "These worrying trends reflect the impact of food marketing and policies across the globe, with healthy nutritious foods too expensive for poor families and communities," Ezzati said. While Ezzati called for government regulations and taxes to protect children from unhealthy, sugar-rich foods, WHO chronic disease expert Fiona Bull added that children should spend less time in front of digital screens and more time doing sports. "These data highlight, remind and reinforce that overweight and obesity is a global health crisis today, and threatens to worsen in coming years unless we start taking drastic action," Bull said. Ahead of the World Obesity Day, WHO released some crucial data to draw attention to this growing health problem. Obesity worldwide has doubled between 1980 and 2014, and most people live in countries where being overweight and obese kills more people than being underweight. According to the recent data, at least 2.8 million people die each year as a result of being overweight or obese. More than 1.9 billion adults were overweight in 2014, and 600 million were obese which translates to 39 percent of adults being overweight, and 13 percent obese. Obese people are more likely to have a sedentary job, live in cities, and use transport that involves little physical activity. Childhood obesity, on the other hand, is one of the most serious public health challenges of the 21st century. In 2014, about 41 million children under five years old were overweight or obese.